American Trail is the place where visitors can get their feet wet while learning about gray seals, harbor seals, bald eagles, gray wolves, brown pelicans, and beavers. 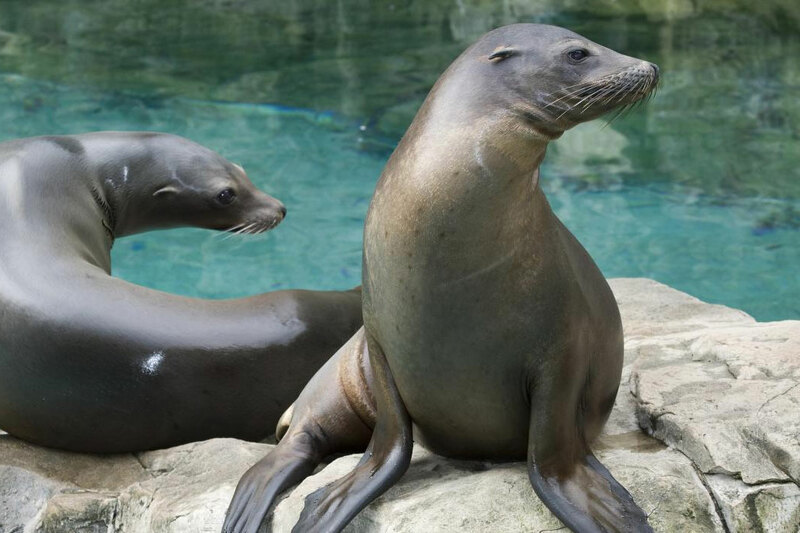 American Trail also features river otters, ravens, and an incredible underwater view of the Zoo’s California sea lions. The Tide Pool, a shallow wave pool open for “wading,” features model sea stars, barnacles and mussels and provides visitors a cool retreat during the summer months.